In these opening days of a new year, we look for ways to better see God’s yardstick in our lives, and for ways to leave the world’s yardstick behind. When we explore different versions of Judith 13 we find these quiet clues that will lead us to a deeper understanding of these verses. Judith’s victory will represent a contradiction of the gentle, persistent love of Mary, Hannah, Anne and Elizabeth; it is a stark contrast to the New Testament Law of Love that Jesus brings to us. So how do we make sense of Judith’s story? 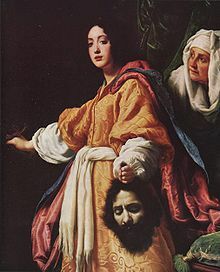 Is the violence we find here the foundational reason that this book is considered by some a parable in which Judith is a metaphor for Israel? Do the anachronisms we find in this story mean that is it an ancient historical novel rather than an inspired text? Has Judith been laid aside by many with a disdain for women figuring as powerful and clever? Read this chapter along with Judith’s victory in Chapter 15 and decide how to best consider Judith. Decide how or if she represents God’s yardstick. What does her fidelity to God through prayer and deed mean for us today? 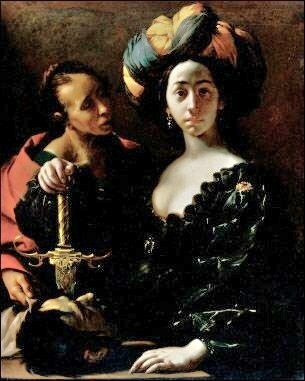 For more reflections on this woman and the impact her story might have on us, enter her name into the blog search bar and explore, or go to the Judith – Sublime Faith, Heroic Love page on this blog at: https://thenoontimes.com/the-book-of-our-life/the-old-testament/the-historical-books/judith-sublime-faith-heroic-love/ If there is time over the next few days, read her entire story and reflect on God’s yardstick in Judith’s life. Click on the images above to explore other ideas. Chapter 7 tells of the siege of the town Bethulia by the Assyrian troops of King Nebuchadnezzar under the military leadership of Holofernes together with local tribes; and it sets the story. If you have time today or this evening, read the entire story. I promise you will not be disappointed. It is fascinating to read about these two groups of men who take into account both the small details and the broad strategies in order to lay out the best plans. They reconnoiter approaches, locate water sources, assess troop strength, close off escape routes, and store up resources. Meanwhile, the Israelites watch and pray. Their leader tells them: Let us wait five days more for the Lord our God, to show his mercy toward us; he will not utterly forsake us. 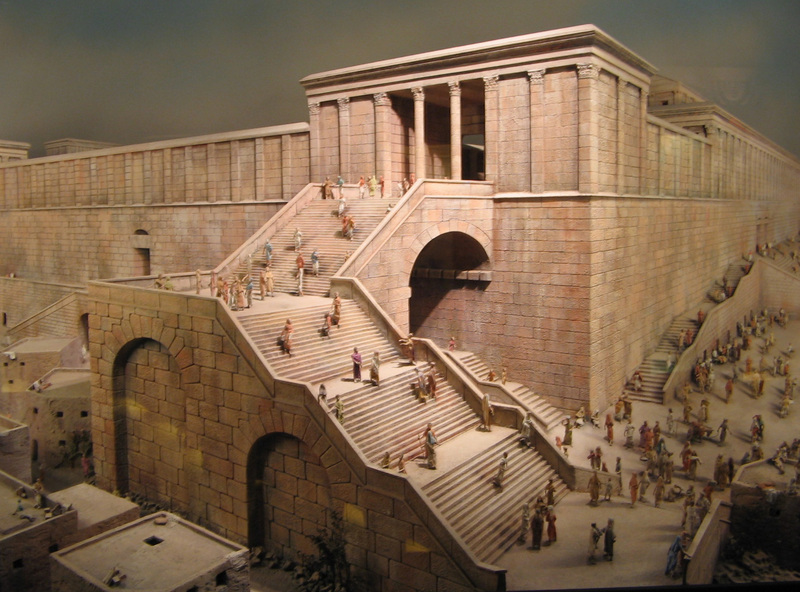 Still, because the odds were so stacked against them, the Hebrew people of Bethulia mourned. They saw no hope of deliverance and believed they would all be killed or enslaved. They were in a desperate place with desperate circumstances, yet they hoped. And a woman acts to save them. As we have observed, it is a great story. As we reflect on this story we arrive at this thought: If we always turned to God at the first moment an army amassed itself against us, and if we would be willing to trust an unlikely agent – such as the widow Judith – we might find ourselves less anxious and more joyful. Today’s Psalm at Mass is 112 with the repeated antiphon: The heart of the just one is firm, trusting in the Lord. One of the stanzas reads: An evil report he shall not fear; his heart is firm, trusting in the Lord. His heart is steadfast; he shall not fear till he looks down upon his foes. If we might trust as Judith trusts, if we might steady our hearts to make them steadfast and focused on Christ – the rescuer who rescues all who turn to him – we might find more success and less war. When we hear evil reports as we do each day when we tune into the news, we would tremble less. When we hear rumors about family, friends and colleagues, we might wait five days or so and petition God for advice in the meantime. When we fear that we have gone wrong and have lost our way, we might rely on God’s mercy, knowing that he will not forsake us. If you have time today to spend with some ancient people who thought they faced extinction and yet were saved, you will be rewarded with a story about a pious widow who saves a town . . . and your heart may move closer to firmness, to justice, to trust in the Lord. Written on June 2, 2009 and posted today as a Favorite. 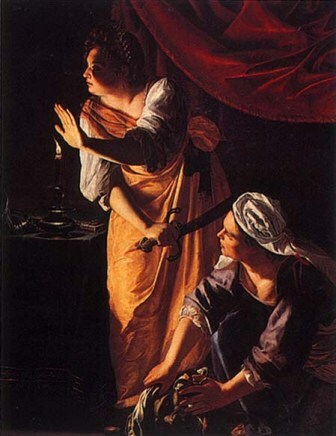 For more about this amazing woman’s story, go to Judith – Sublime Faith, Heroic Love at: https://thenoontimes.com/the-book-of-our-life/judith-sublime-faith-heroic-love/ or use the search the name Judith on this blog.